Lookers has reported 30% growth in used car turnover during a “buoyant” Q1 which saw retail volumes and rising profit across the board. The top AM100’s third place retailer issued its trading update ahead of a meeting with analysts and investors which included a tour of a Jaguar Land Rover production facility today. A 17% increase in gross profit on new cars, 9% on a like-for-like basis, was among the results' highlights as Lookers saw its new car volumes up 7.4% to the end of March. Retail sales volumes were up 9.2% on a like-for-like basis and fleet sales volumes up 5.1% on a like-for-like basis. Commenting on the positive new car sales performance, Lookers were quick to acknowledge the effects of the VED road tax changes. A statement issued via the London Stock Exchange said: “Some of the increase in the new car market is likely be a result of the increase in Vehicle Excise Duty from 1 April 2017, which will have had the effect of potentially bringing forward sales from April to March and this appears to be confirmed by the April new car registrations. Lookers’ turnover on used car sales increased by 30%, or 18% on a like-for-like basis, the group reported, as a result of “leads generated by the Group’s website” with a new version of the platform set to be launched later this year. “Our aim is to produce an industry-leading website to improve the customer experience, increase sales, and develop operational efficiencies further,” Lookers said. The increase in volumes and margins was attributed to initiatives made in recent years to develop the aftersales business and the group’s multi-channel customer experience. Giving its outlook for the year ahead, Lookers' statement said that it expects “results for the year ending 31 December 2017 should be in line with management’s current expectations”, adding: “We have a strong balance sheet where the level of net debt to EBITDA has improved compared to the prior year and which continues to be strengthened by operational cash flow. 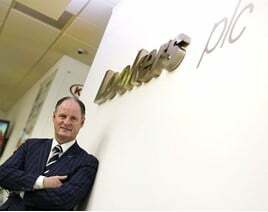 Giving his investment view, Zeus Capital market analyst Mike Allen said that forcecasts for Lookers had been reduced following the £120 million sale of its part division - which included BTN Turbo, FPS and Apec Braking - to Automotive Alliance for £120 million last year.